A decorated Navy SEAL will face court-martial for charges including premeditated murder in the death of a young ISIS fighter in Iraq, NBC 7 has confirmed. Special Operations Chief Edward Gallagher faced an Article 32 hearing in November at Naval Base San Diego. During the hearing, U.S. Navy prosecutors accused Gallagher of premeditated murder for the stabbing death of an injured ISIS fighter who they estimate was about 15 years old. The stabbing happened in Mosul, Iraq, in May 2017. Gallagher is also charged with aggravated assault for shooting Iraqi civilians. Special Operations Chief Gallagher has denied the charges. He will be arraigned at Naval Base San Diego on Friday. Rear Adm. Yancy Lindsey, commander of Navy Region Southwest, reviewed evidence presented at the hearing and determined Gallagher should face court-martial, according to a U.S. Navy spokesperson. NBC 7 was the only broadcast news station at the Article 32 hearing at Naval Base San Diego. Special Operations Chief Gallagher has been held in the Miramar Brig since Sept. 11 when he was arrested at the Camp Pendleton Intrepid Spirit Center. The Navy outlined its evidence, including cellphone photos that show Gallagher holding up the head of the deceased fighter during a reenlistment ceremony. That evidence is considered privileged and was not shown in court because it could be used as propaganda by enemies of U.S. troops. The government also said it had a video of the Iraqi fighter before he was killed. 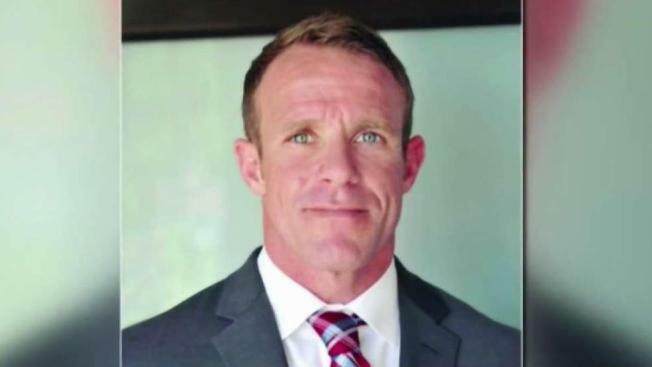 Prosecutors also presented evidence that they say shows that Chief Gallagher tried to bribe fellow SEALs not to talk about the incident to NCIS investigators. Gallagher's private defense attorney, Phil Stackhouse, questioned conflicts in dates and testimony in court and asked if investigators were able to determine if the ISIS fighter could have died from injuries suffered in an airstrike. Stackhouse told NBC 7 in an exclusive interview that he's confident his client will be acquitted. "What we've asked for and what we're going to continue to ask for is that Eddie is judged by a jury of his peers so that there are special operators, both officers and enlisted sailors that are on this court-martial panel that's going to hear the evidence because of the unique nature of allegations arising in a combat zone," Stackhouse said. The defense says Gallagher was turned in by his subordinates because he was too tough on them. Naval Special Warfare Group One reviewed the evidence presented at the hearing according to the Navy and requested the charges be reviewed by RADM Lindsay, who then referred most of the charges to the court. The Navy SEALs Fund Brotherhood Beyond Battlefield has launched a fundraising campaign for Gallagher who served eight tours of duty with six as an elite special forces operator. Gallagher has served 19 years in the U.S. Navy and more than 14 years as a Navy SEAL, his attorney said. In 2017, Gallagher was ranked as the top SEAL chief and his platoon was ranked as the top SEAL platoon, the website said. If convicted on the most serious charge, Gallagher could face life in prison.